USB Battery Charger For Lithium Ion battery with the LM3622 is a series of lithium ion battery charger. This charger circuit operates using power from the USB source PC. 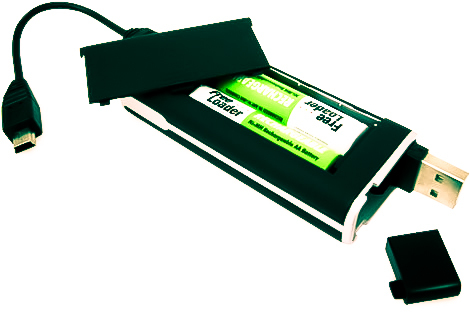 Current consumption of a series of USB Battery Charger For Lithium Ion battery with 400mA LM3622 is limited by R1, so it does not exceed the current maximum limit that can be given by a USB computer. Brains from USB Battery Charger For Lithium Ion battery with IC LM3622 , it is a national of having special technical specification charger for lithium ion batteries. In a series of USB Battery Charger For Lithium Ion with LM3622 R1 0.25 Ohm value that serves to limit the charging current 400mA to the battery. Q2 and Q1 is the last part of the USB Battery Charger For Lithium Ion battery with the LM3622. In principle, USB Battery Charger For Lithium Ion with LM3622 identify the condition of the battery full charged battery voltage via pin 6 LM3622. USB Series Lithium Ion Battery Charger For LM3622 is equipped with a switch to select the battery that was in charge of 2.7 volts or 2.1 volts.